This darling guest house, nicknamed the "mini-mansion," was designed to look like a miniature version of the accompanying main house. 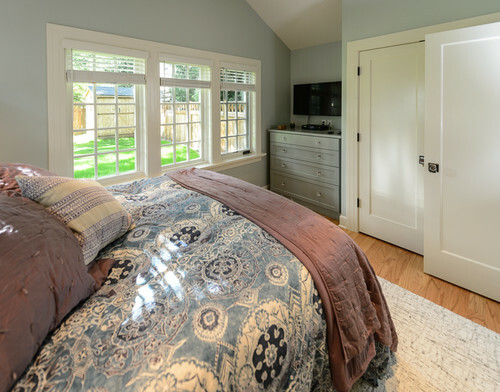 It was built by Thordarson Construction Inc., is only 500 square feet (47 square meters) and is located in the Irvington Historic District in Portland. 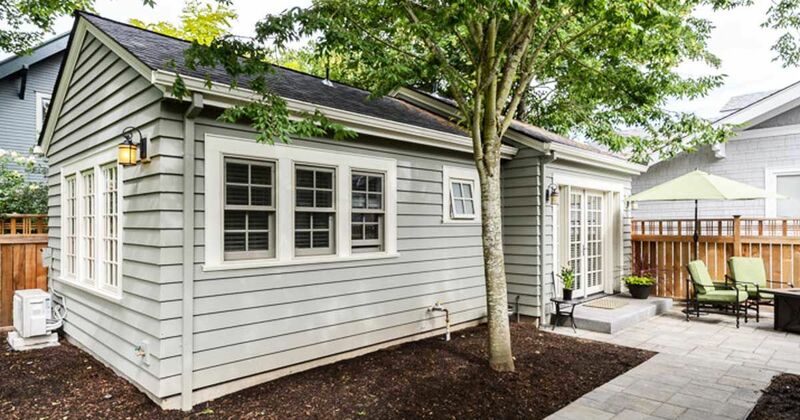 Although the footprint is tiny, the layout still manages to pack in plenty of functional living space, including a living room, a full kitchen, a bedroom and even a laundry room. The decor is simple and sophisticated, done in mostly grays and whites for a fresh, clean look. 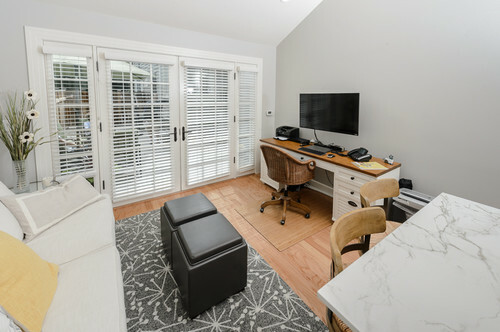 The living area doubles as an office space. 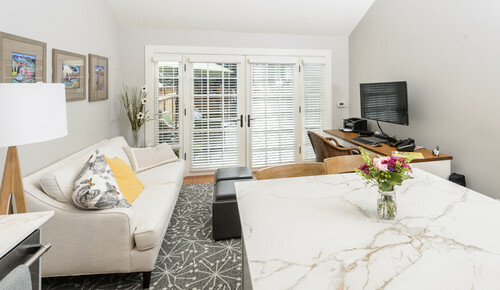 When square footage is limited, rooms can serve double duty with well-planned furniture placement. 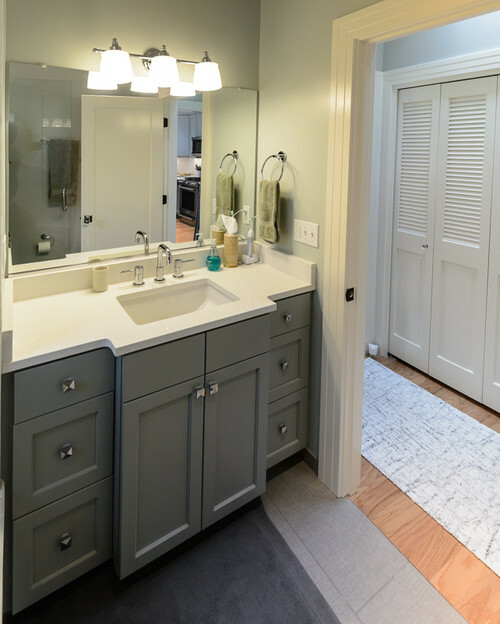 Gray cabinets in the bathroom match the kitchen in style for a coherent look throughout the house. 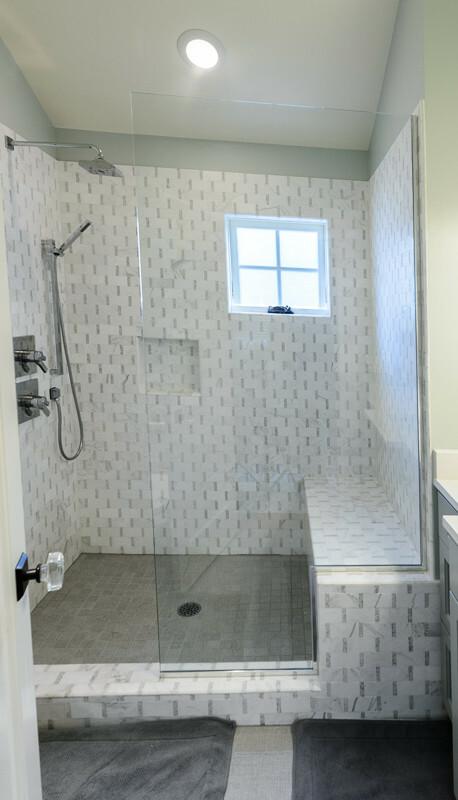 The shower surround features a twist on the classic subway tile look, with this unique rectangular marble tile and gray accent pieces. Polished nickel fixtures finish the look. 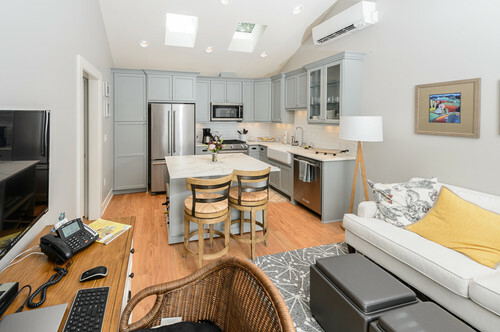 Who knew 500 square feet could pack such a big impact? Be sure to save all of this small living inspiration by sharing it on Facebook, Instagram and Pinterest.